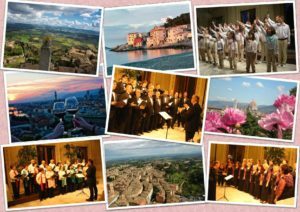 Bring also your choir to Tuscany! This year we had various choirs from all over the world! One of them was the Cantorion Rhos from Wales. We organised a concert in Lucca and at the Basilica di Santa Maria Assunta in Montecatini Terme for them, and they really enjoyed their stay in Montecatini Terme! Come and organize your Tour with us! 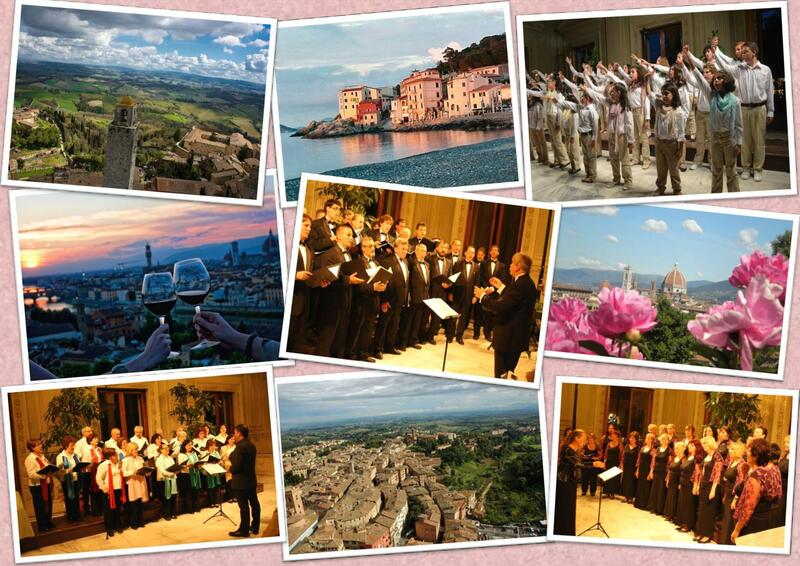 From music events, through carefully selected tours to wine tastings, discover the genuine Tuscany with us! Arrival in Montecatini Terme. Welcome Drink and accommodation at a nice and central 3 star Hotel. 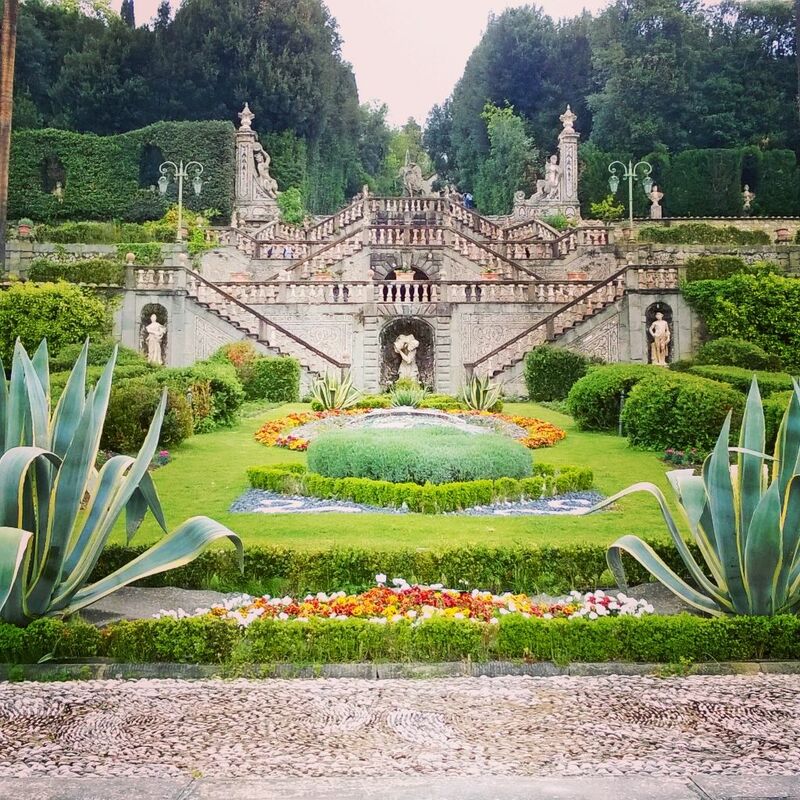 Today is about Villa Garzoni and wine tasting in Collodi – famous for Pinocchio. In this little village you can visit Saint Bartolomeo church, dating from 13th century, which houses a beautiful fresco of Virgin Mary. 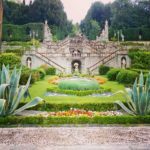 You will visit the garden of Villa Garzoni and the Butterfly House. After a stroll around the area, it is time to taste one of the best products of Tuscany: our wine. Right in the restaurant inside the park, you will taste different types of wine with some local snacks. 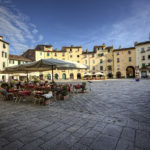 Back to Montecatini Terme, time for the rehearsal in “Piazza 7 settembre“. Then dinner at the Hotel. After dinner we reach your location for your first concert!! 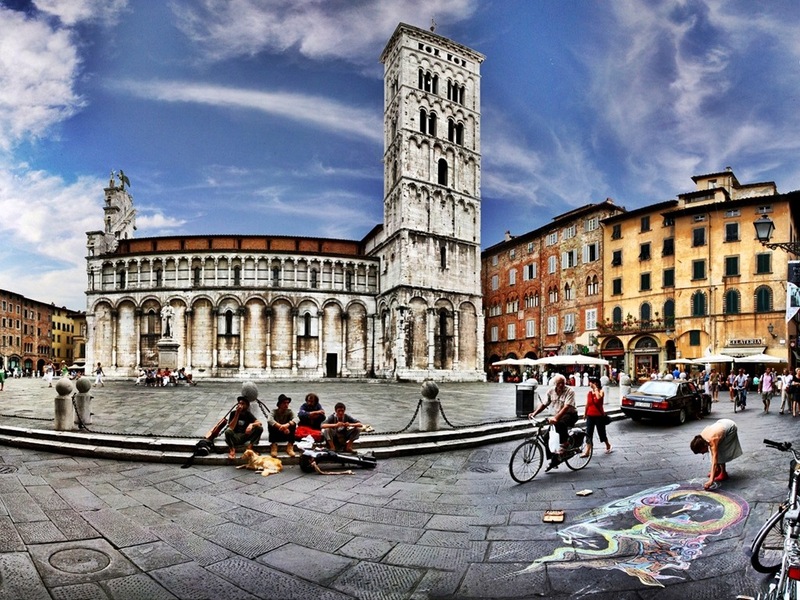 A half-day guided tour to Lucca, the birth place of the famous composer Giacomo Puccini. When in Lucca, be sure to look up! You will see the towers that still today stretch all the way up over the city’s rooftops: the characteristic Torre delle Ore and the great Torre Guinigi, crowned with Holm Oak leaves. 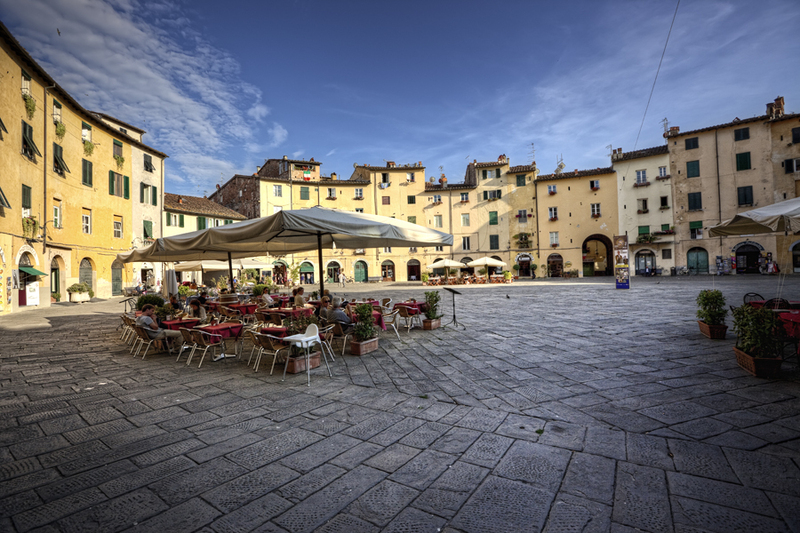 A short distance away you will find Piazza dell’Anfiteatro, with its unmistakable elliptical shape, built in the original Roman structure. 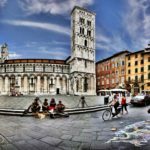 After dinner in one of the local restaurants, rehearsal and concert will take place, it will be organised at Basilica di San Martino. Day 4: Today our Tuscan adventure comes to an end. The price does not include: beverages, city taxes, transfers and bus permissions. Prices valid for a minimum of 25 persons. Other venues for your concert?? The Thermal establishment Tettuccio, in Montecatini Terme, could be a beautiful location for your next concert. Another great venue is the Cathedral of San Zeno in Pistoia. The Duomo, next to the beautiful bell tower, was completely renovated at the start of the twelfth century.